On 14 March 1994, Linux 1.0.0 was released, with 176,250 lines of code. In nearly 21 years, Linux has grown to more than 15 million lines of code. Most of the code resides in the drivers subtree. Linux and Android are two closely linked open-source projects, but they've been distant they are from each other for a while. 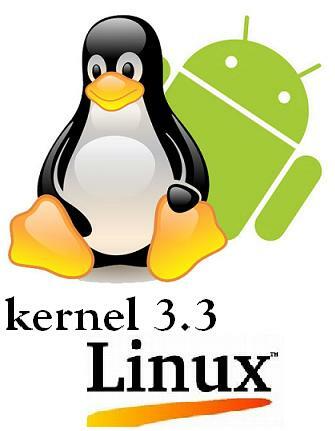 As of March 2012, version 3.3 of the Linux kernel made its way to the public. and once again includes Google Android Code. This should increase Android's hardware compatibility, make life easier for developers looking to port Android, and help out Linux distributions that want to support Android programs. 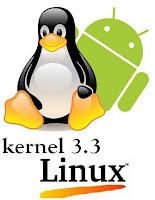 Some time in the next 4 weeks we will see Google's new Android 4.1 "Jelly Bean" OS based on Linux Kernel 3. Jelly Bean's biggest features is Project Butter, an effort to improve performance and response time that includes a much smoother UI experience. Animations are smoother and faster. The CPU immediately ramps up the moment a touch is detected to ensure speedy response. The only problem I see here is Jelly Bean will be available only for some devices; the GSM-based Galaxy Nexus, Motorola Xoom and Nexus S. They will get it automatically with next mouths over-the-air update. Why only those three? Because Google controls those devices. Will the Sprint and Verizon models of the Galaxy Nexus get Jelly Bean next month? History says no. Android 4.0.4 came to Verizon's phones two months after appearing on GSM models. The Nexus S hit the market back in Dec of 2010, old by our fast pace world. It will get the update. Well any is any other android phones from that "era" get the 4.1 OTA? Sadly no. Google doesn't push upgrades on the OEMs or carriers; they're offered a choice. The sad truth about the economics of the phone marketplace is that phone companies want you to extend your contract by picking up a new subsidized phones. They along with the OEMs make a lot of money off selling new devices, not upgrading really old ones. The best way to get the Android 4.1 Jelly Bean upgrade, in their minds, is to buy a new phone. So Jelly Bean and Linux 3 will rock. Sad to say many probably will never get it. Well unless you renew that contact with a new phone.